******UPDATE**********January 2012 ************* Day Return on 37 is still available but costs £2.70. The Forum isn’t sure whether the weekly ticket is available, let us know if you know. 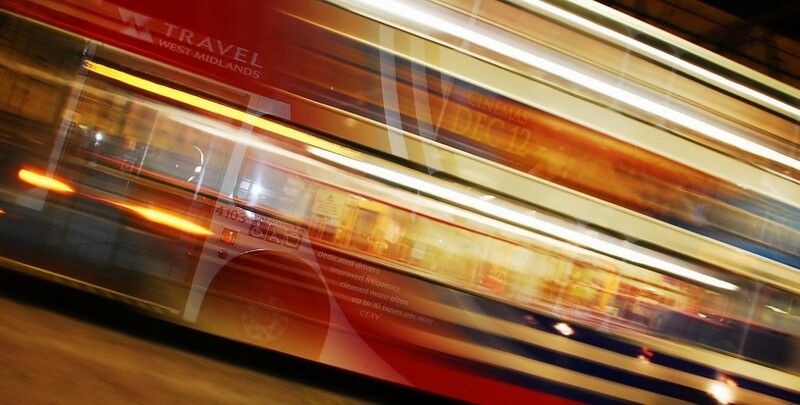 To promote the 37 bus service, which runs from Solihull to Birmingham City Centre, National Express West Midlands (formerly Travel West Midlands) have introduced a special £2.50 day return ticket and £8.50 weekly bus ticket for use on the 37. This is great value if you only need to use this service. From 31st January some of the bus services in Acocks Green are also changing . National Express have decided to withdraw the no. 41 and no. 32 buses and parts of these routes will be covered by two new services; the no. 42 and no. 3A services as well as an extention to the 31 route. According to the bus company, the no. 41 is a “complicated, unpopular and most complained about route”. The 3/3A is a new service, replacing services 12, 41 and 32. Service 3A will run from the city centre to AG via the current route of the 12 to Shirley (Haslucks Green Rd), then via the route of the 32 and 41 to AG. This will run all day, linking parts of the Gospel Oak estate with the city centre, as well as Yardley Wood, Shirley Station and Wake Green every 30 minutes. Service 31 is being extended to Shirley Church from its current terminus point at the Gospel Oak pub. This will run down the current route of the 32 to Robin Hood, then along the Stratford Road to Shirley Church every 15 minutes. This provides a new all day link to Shirley from Gospel Oak and also reinstates an all day link between AG and Shirley. 31 will run as far as Robin Hood evenings and Sundays. This entry was posted in Events and tagged 32, 37, 41, 42, Acocks Green, bus, Bus changes, bus routes, Gospel Oak, National Express, Shirley, Travel West Midlands, Yardley. Bookmark the permalink. I think the situation has moved on, with a new bus service (no 40?) being introduced last week? Hi Amanda. I don’t know anything about this new bus. I will try and do find out the latest, if you hear any more let me know. I just did a search on the TWM website and it doesn’t recognise the number. Thanks for the info on the changes to bus routes through AG. Oh and lovely new banner pic btw!